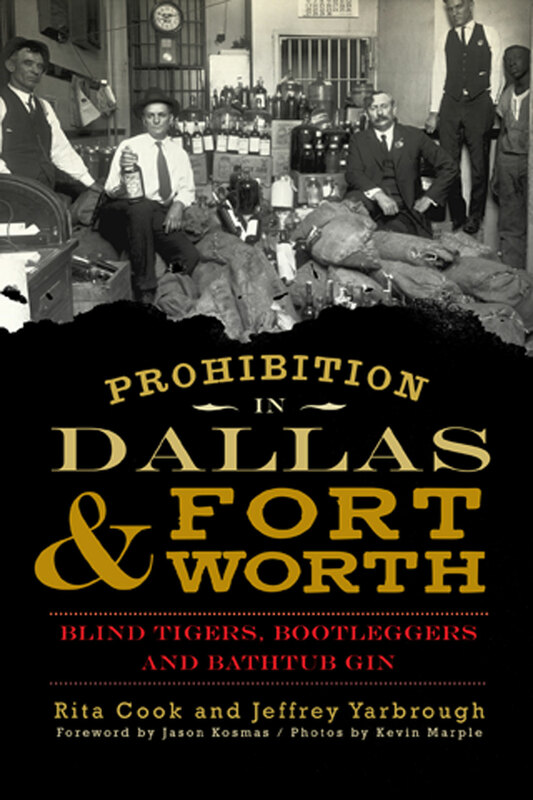 Bootleggers, bathtub gin, and blind tigers form the heart of new volume on Prohibition in North Texas. Book lovers know the dilemma: Should their next selection be educational or entertaining? With Rita Cook and Jeffrey Yarbrough’s new tome, they don’t have to choose. In the pages of Prohibition in Dallas and Fort Worth: Blind Tigers, Bootleggers and Bathtub Gin, readers will find the perfect blend of history, storytelling, and — fantastically enough — great cocktail recipes. Prohibition is Cook and Yarbrough’s first collaboration. Los Angeles-based Cook is editor-in-chief of The Insider Mag, a travel publication, as well as the author of nine books. Yarbrough, a Dallasite, is the man behind Liberty Noodles and Concept Nouveau Inc., a popular nightclub. For Prohibition, Cook handled the history while Yarbrough focused on the mixology. 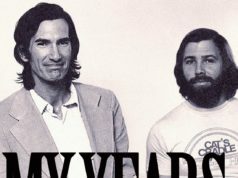 Their differences were apparently so deep they seeped into the vernacular. As the Southern Baptist-influenced Dallas area declared itself “dry” before and after Prohibition, Fort Worth went on thinking “dry” meant “devoid of oil” and, unlike its devout neighbor to the east, kept the drinks flowing publicly before and after the booze ban. Dozens of historical black-and-white photographs breathe life into the descriptions of Tarrant County areas such as Hell’s Half Acre and Main Street (circa 1920) in Fort Worth and Top O’ Hill Terrace, a popular speakeasy on East Division Street where Arlington Baptist College currently stands. The hardnosed cops hunting for liquid contraband and the smiling customers put a human face on a not-so-distant yet hard-to-imagine time period. 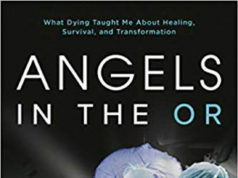 The book’s final chapter consists of an insightful and entertaining question-and-answer session in which the authors address popular queries. Regarding the dubious distinction that the margarita machine was invented in Dallas, Cook and Yarbrough say it’s true, and they offer a photo of the first contraption as proof. One question –– “What kind of impact do you think Prohibition had on the drinking scene of the country overall?” –– neatly summarizes the book. Cook and Yarbrough say that Prohibition “made drinking the social event that it is today” by bringing people of all walks of life together to enjoy a little relaxation. The book isn’t necessarily meant to be read from front to back but to be kept around for reference. One recommendation: Don’t even look at Prohibition in Dallas and Fort Worth without a cocktail in hand.